Searching for home insurance can be a challenge when you have a criminal conviction. Generally, insurance companies do not provide cover to applicants with an unspent conviction, leaving hundreds of thousands of UK residents uninsured and at risk. Do you have any criminal convictions which are not spent? Convictions that are unspent must be disclosed when applying for a new role, or a product such as a mortgage or insurance. The length of time that you need to disclose your unspent conviction depends on the crime. You do not have to disclose a spent conviction (or any driving or motoring conviction) to your insurer. If you or anyone living at the property, including tenants, has a criminal conviction, you must declare it, if asked. If you don't, you may be at risk of your insurance provider cancelling your cover or refusing to renew your policy because of the non-disclosure. What’s more, if you have not been truthful and need to claim then your policy could be invalid and you may not receive any support or pay out from your insurer. Your prospective insurer is likely to ask you whether you have had insurance cancelled, refused or had special terms imposed. You must disclose this information, unless the refusal, special terms or cancellation were employed in reaction to a conviction that was unspent at the time but has since become spent. Will a conviction affect my claim? If you make a false statement and misrepresent the terms of your conviction or sentence then your claim can be rejected. Don’t lose hope. HomeProtect can provide home insurance quotes for ex-offenders with unspent criminal convictions online. How do I know when my conviction is spent? Unless you were convicted with a prison sentence of over four years, your conviction will most likely become spent. The time it takes to become spent varies depending on your sentence and if you were tried as an Adult or a Young Person (under 18). Once your criminal record becomes spent you no longer need to disclose it to your home insurance provider. Use the Disclosure Calculator to find out when your criminal conviction will become ‘spent’. Complete discretion when taking out a policy. Up to £500,000 rebuild cost on Buildings Insurance. Up to £25,000 legal expenses cover to pay for legal support for property disputes. How long do I have to declare my criminal record for? What happens if I don’t disclose a conviction? Sharing the details of any unspent convictions allows insurers to accurately assess the risk involved in underwriting the policy. It allows your insurer to provide an accurate quote to be able to protect your home in the event of a claim. 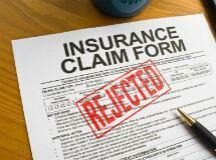 If you are found to have deliberately misled your insurance provider then your claim won’t be paid. It should be noted that spent convictions do not need to be disclosed. Customer data is not shared with other companies, individuals or organisations. Any necessary details about criminal convictions that are pertinent to your home insurance are kept on file as part of your policy agreement. Your data is secure and stored in accordance with the Data Protection Act 1988. Why is insurance more expensive with a conviction? People with convictions may may fall victim to retaliation from someone in their past, which means insurance providers may consider them a higher risk. That said, insurance providers use a vast and varied set of data to gauge risk and determine your premium, only one of which is whether you have a conviction. It's very simple really - My son-in-law had a criminal record and only HomeProtect would offer house insurance at a a reasonable price. Every time I phone to discuss renewals, they are always helpful. If you need to contact us about taking out or renewing an insurance policy, our UK Call Centre is open until 8pm weekdays and on Saturday mornings. Get your convictions insurance quote online now!